Sonic the Hedgehog co-creator Hirokazu Yasuhara is working on a new Pac-Man title set for a release on the original game's 30th anniversary in 2010, Gamasutra reports. "We are in the midst of making Pac-Man come back because his 30th anniversary is in 2010 actually," said Namco Bandai Games America EVP and COO Makoto Iwai . "As a group, we feel like we should do something to make him come back. So, there's one project that we started working on, and [Yasuhara is] part of it." Just four years ago, the game's original creator Toru Iwatani developed a remake of his classic. 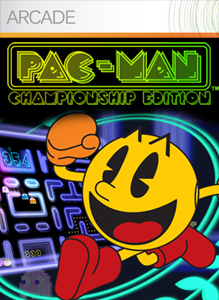 Pac-Man Championship Edition was released on Xbox Live Arcade on June 6, 2007. It's to bad that Iwatani decided to make Championship Edition, and not this new Pac-Man, his final game.